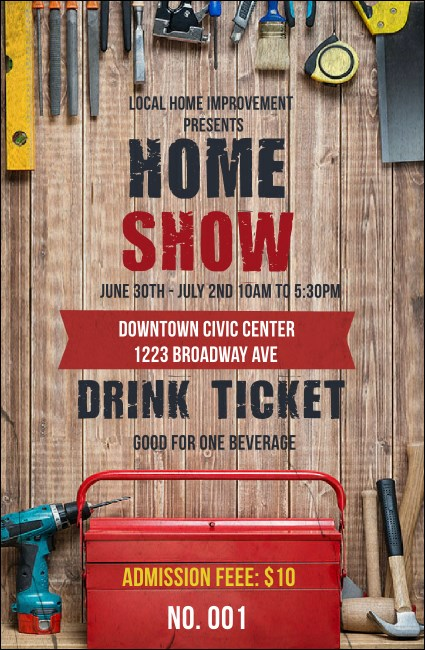 Plan on organized lines and happy staff when you distribute the Home Improvement Drink Ticket at your home show. Hammers, drills, paint brushes and a tool box decorate this design, with a high resolution wood background. List all event details and drink offerings on the easy template.